As a solution focused and future facing therapist my favorite part of the work is helping others to set and achieve their own goals. In doing this, i try to be mindful of my own goals and aspirations. One of these has been to create my own office space. One which is welcoming, calming and tasteful. I am pleased to announce that I have recently opened this space. My favorite part of this new office is the flexibility I will now have for you. Making the decision to commit to therapy can be overwhelming. 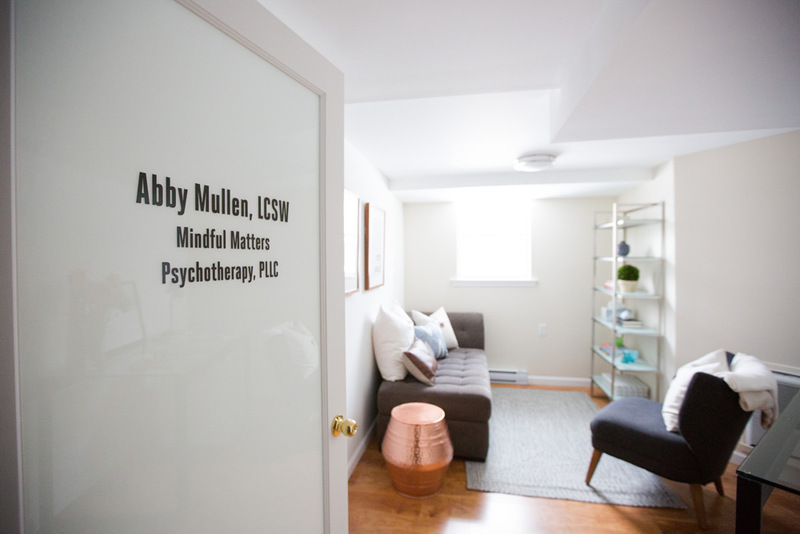 Scheduling a session shouldn’t add to that emotional stress, and now at Mindful Matters Psychotherapy, PLLC it won’t! In therapy I encourage others to recognize their own skills and areas of expertise while taking into account that we cannot be “the best” at everything. This is why experts exist, to help us to get the best of what we need. I followed my own teachings in this and enlisted the help of my talented friend and home stager Nicole Dragisity (check her out at https://www.stageathomemom.net/ or instagram @stageathomemom). Nikki helped me to create a space that is both comforting and motivating. I then called Taylor Barker of Taylor Lauren Barker Photographer (https://www.taylorlaurenbarker.com/) who skillfully captured the beauty of the office on film, or rather jpegs. I am looking forward to welcoming you here so you can continue on your journey forward in a productive and mindful way.